On October 6 -7, 2010 a meeting of the marketer’s was held in Baltimore, MD, aka Charm City. The SMPS Mid-Atlantic conference brought together members from the New Jersey, Central PA, Philadelphia, Chesapeake, Washington DC, and Virginia Chapters. The theme of the event was “Build Business with Charm and Intelligence” and was the culmination of two years of planning by the host Chapters – Chesapeake and Washington DC. The planning committee was led by co-chairs Audrey L. Johnson of the DC Chapter (Gilbane Building Company) and Sharyn Yorio, FSMPS, CPSM of the Chesapeake Chapter (Design Ideas Group). These two admirable leaders graciously researched, coordinated, and managed a valuable conference while keeping costs low for members and non-members alike. The conference kicked off with the sharing of ideas, challenges and solutions at the Leadership Forum on October 6, 2010. Board and committee members from chapters throughout the region sat down with the SMPS National team to learn about leadership and the tools available from National to help the chapters reach their goals. Discussion topics ranged from the challenges of membership growth and retention, to effective chapter communication, to event pricing. Though needs and cultures differed between chapters everyone felt energized by the forum and was able to take away some new ideas. Chapter Board Members – know your team and inspire a shared vision. 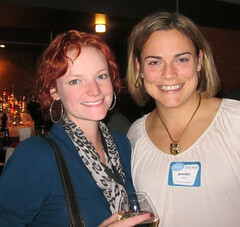 Chapters can rely on SMPS Fellows for advice and as potential event speakers. 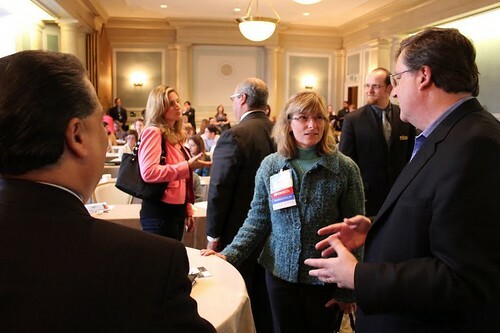 All members should sign up for mysmps.org to meet other members, join a group, and access marketing tools and resources. 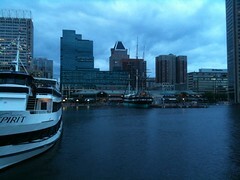 That evening attendees were welcomed aboard the Spirit of Baltimore for a networking cruise around the Inner Harbor. Chapter members from throughout region mixed and mingled together, and excitement for the conference educational sessions the next day ran high. Attendees enjoyed dinner and then dancing led by some enthusiastic Spirit crew members. Networking at sea is (mostly) the same as on land. Introduce each new person you meet to at least one other person. Listen. Whether you’re engaged in conversation or following Electric Slide instructions, you might be surprised at what you learn. Always bring business cards and a pen. Keep a good grip on your cards if you are on deck and conditions are windy. Thursday, October 7 programming kicked off with a keynote presentation from Suzanne Lowe on Expertise Marketing: “Integration Imperative.” The presentation focused on erasing marketing and business development “silos” in professional service firms by using a little charm. Suzanne’s animated example’s showed a few do’s and don’ts when asking a colleague for assistance and drew some good-natured laughs from the crowd who recognized a bit of themselves and their co-workers in her examples. Keynote Take-away: Speaking engagements and writing articles are a great way to position your firm as an expert in a topic or field. To get your firm’s experts engaged in these activities, esteem, appreciativeness, and deadlines go a long way. Bribery is also an option. The theme of charm continued throughout the breakout sessions and programming for the day. Sessions focused on strategic planning and nurturing client/business relationships, communicating effectively with upper management, social media best and worst practices (featuring the DC Chapter's own Tim Klabunde), and how to gracefully navigate mergers and acquisitions. Educational Program Take-Aways: A potpourri. Think strategic – know your market, your competition - and your firm - and you will have a much greater chance to achieve success. Social media - Think twice before posting a negative tweet or status, not everyone will find it charming. Don’t post anything you wouldn’t put on a billboard on I95. Use Google Reader to parse your Google Alerts and avoid multiple daily emails overwhelming your inbox. Use Twellow.com to find the official Twitter accounts of businesses, and search.twitter.com to find out what Twitter users are saying about your firm. By: Francescka Bailey, Creative Designer McDonough Bolyard Peck, Inc.